Marcia Monaco earned her real estate license in 2000. She was drawn to real estate by the ability to control her own income. Her dedication to her clients and business as a solo agent ensure she's a top producer year after year. Zurple gives her the ability to follow up with thousands of leads - even in in a competitive marketplace such as the Dallas-Fort Worth area. Like many real estate professionals, Marcia started out in the sales industry, specifically for information technologies. Her career in real estate sort of fell into place as she had a natural taking to the passion and emotion the industry invokes. She was drawn to the idea that she could work as hard as she wanted to and determine her own success. Marcia started out working with her husband as a team initially, but she took to the industry more naturally. After branching out on her own, Marcia tried many other systems, but none offered the content she wanted to provide to her real estate leads. Marcia identified what leads wanted early on. Instead of investing in personal marketing – head shots, billboard ads, credentials, and the like – Marcia searched for a system that provided leads with the best real estate content. Although she claims to not be technology savvy, she identified what online buyers and sellers were looking for early on – information on homes. "It's not about the agent, it's about the homes. Zurple gets that." Marcia came across Zurple in 2010 and was impressed with the system's follow-up. Although other systems did generate leads, none offered the content her leads were looking for. She could not live without the system’s Property Update Notifications, which are emails on changes to property listings. These emails reference homes a lead has indicated interest in, specifically recently viewed properties or properties saved to favorites. Each message is custom tailored according to each lead's online browsing history. If a lead requests information on a property, Zurple sends updates on that property and will suggest similar properties. To date, Zurple has sent close to two million Property Update Emails on Marcia's behalf. 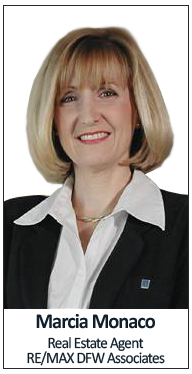 Marcia loves her ability to edit emails according to leads’ preferences – single family homes, town homes, condos, etc. Each time she logs into her Back Office, she immediately checks in on new leads. Hot Behavior alerts also give her a broad overview of engaged leads. These alerts tell her which leads return to her site, favorite properties, or increase their search time. To date, Marcia's Back Office has triggered 37,385 Hot Behavior alerts. Marcia states that she checks her Zurple Back Office every hour. She has her Zurple Back Office synced with her Zillow Premier Agent account. Zurple nurtures any leads she generates from Zillow and Zurple, sending those coveted Property Update Notifications. She prefers to work alone and Zurple allows her to do so. Without the automated messages, she would otherwise be unable to reach thousands of leads in a single click. Marcia also loves the unlimited space for notes allowing her to keep diligent track of those leads she's reached. "With Zurple's messaging, leads contact me years later. There's no way I could remember to follow-up with leads from years ago"
Marcia relies almost solely on home search engine sites including her Zurple IDX site shopflowermoundhomes.com, to generate leads. Even with a steady flow of repeat business, she states referrals alone could not meet her yearly income goals. Zurple allows her to live by her salary standards. Although a significant sum goes back to her initial marketing expenses, Marcia states that the system she built with Zurple and Zillow Premier Agent is well worth the investment. Today Marcia continues to build her online sphere. Although she has a steady stream of leads coming in, she works seven days a week to continue growing her online presence, even taking her laptop on vacation so she can check on her Back Office while away. Zurple’s automated follow-up does take off much of her workload, but she prefers to continue expanding. What she loves is that Zurple never stops nurturing her leads – the messaging continues forever. She states she’s had leads come back 5 years later to convert into a client. By pairing her work ethic with a robust system like Zurple, Marcia is able to continue building her database. It's no wonder she was ranked as the #89 RE/MAX agent in the state of Texas in 2017 and the #1 Office Agent at RE/MAX DFW Associates in 2017. Interested in Growing your Business with Zurple?